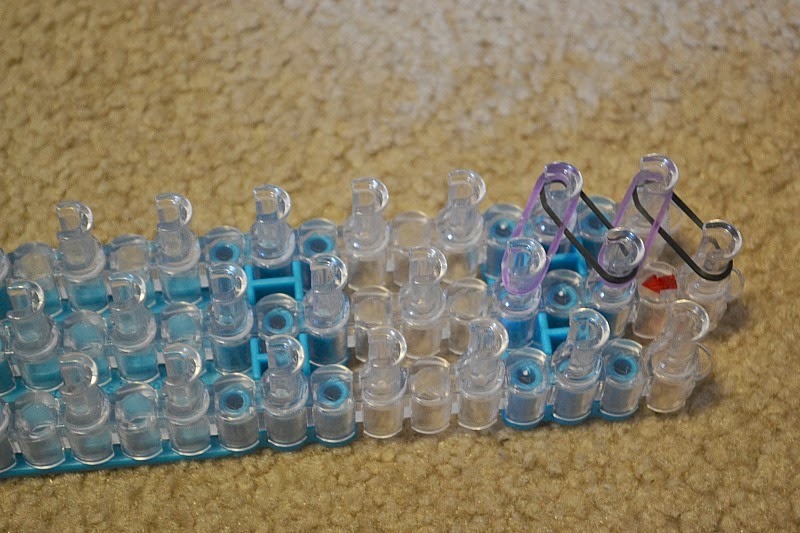 Over the summer my girls fell in love making Rainbow Loom bracelets. They have spent hours creating amazing bracelets and necklaces. All sorts of beautiful fun jewelry. 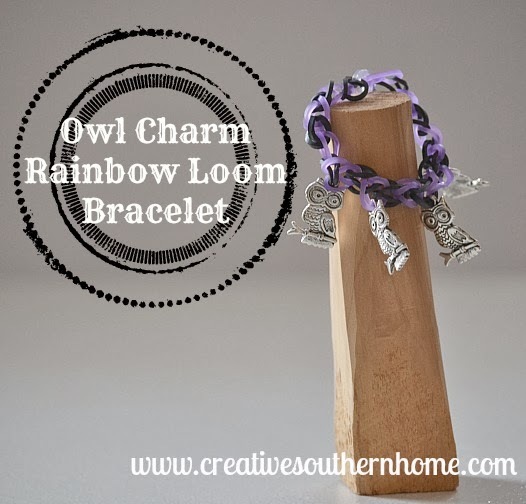 The other day we decided to try and add some of these cute owl charms from wholeport, to create an Owl charm Rainbow Loom Bracelet. It was simple to do. 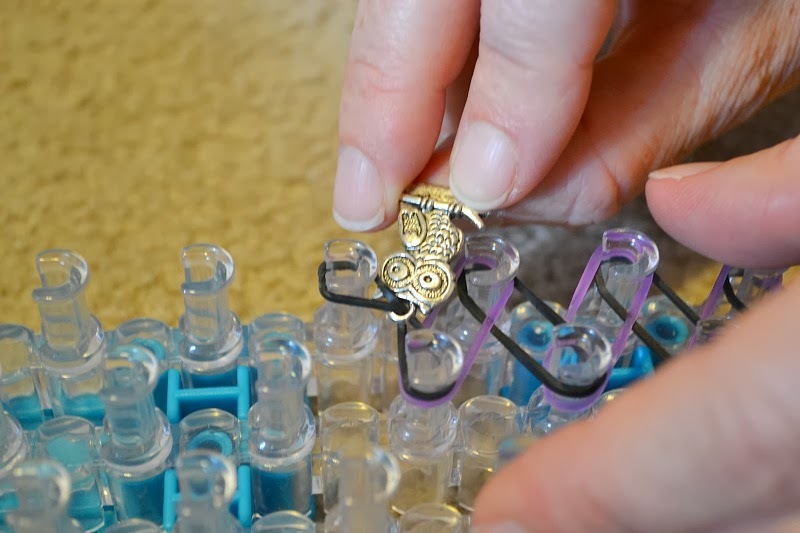 We started with the single pattern rainbow loom bracelet. I added a few bands on before adding a charm. To add a charm, I slipped a rubber band through the ring in the charm and placed the charm in the middle of the band. Now I can add this band as the next one in my pattern. I chose to use 4 charms on my bracelet and placed them appropriately spaced. I think I had one or two regular bands in-between each charm. We finished off the bracelet according to the rainbow loom instructions and now we have a gorgeous charm bracelet to wear. That is so cute! I absolutely love owls! I can’t wait until my girls get a little older. We aren’t ready for crafty things yet, but one day they will be and I’ll be ready with ideas. Thanks, pinning. 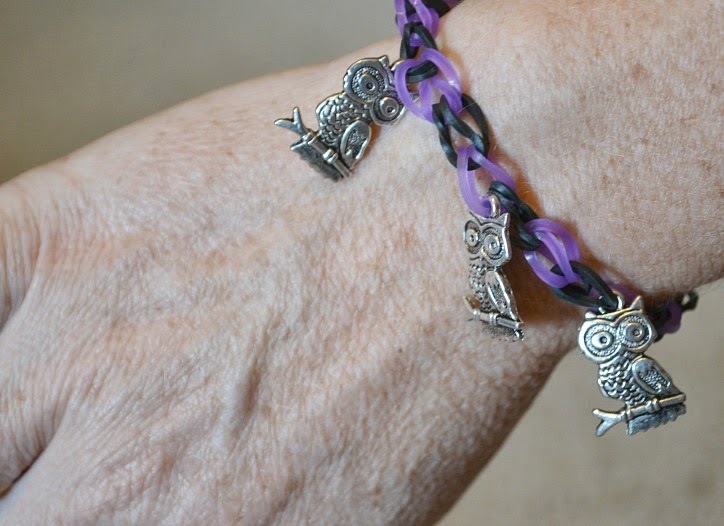 I love owls and this bracelet is so cute. Thanks for sharing on the weekend re-Treat link party! Cute! 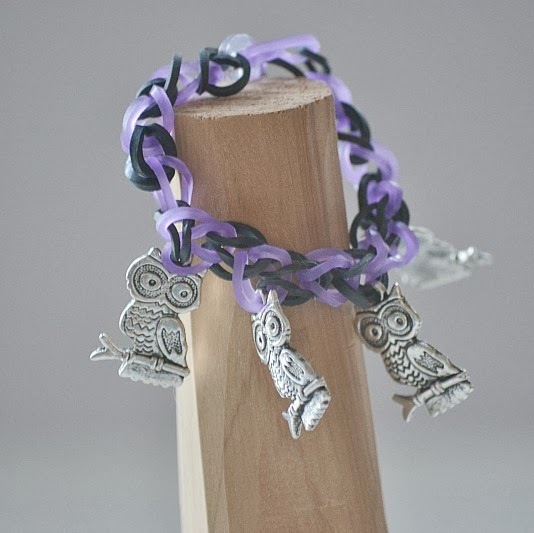 I will try to make it for my daughter’s birthday, she wants to have ‘owl’ themed party, so this fits just great! Thanks for letting me link to this awesome project! I bet the AllFreeKidsCrafts.com readers will love it! WOW! 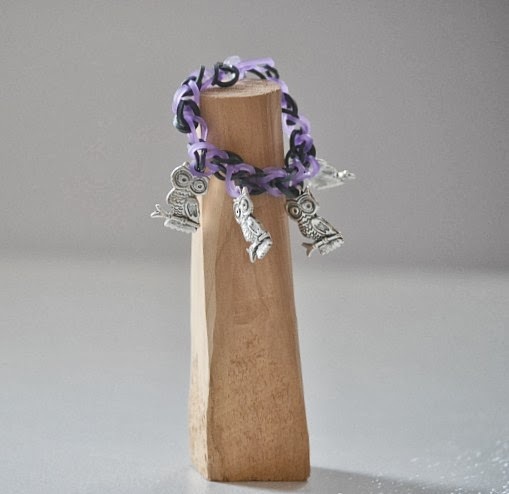 I have never thought to put little charms in the bracelets. I know my girls will love that!